The package of a component provides two core functions, protecting the component from the environment and providing a way for the component to be connected to the circuit. If the barrier protecting the component from the environment breaks, outside factors such as humidity and oxygen can accelerate the aging of the component and cause it to fail much faster. Mechanical failure of the package can be caused by a number of factors including thermal stress, chemical cleaners, and ultraviolet light. All of these causes can be prevented by anticipating these common factors and adjusting the design according. Mechanical failures are only one cause of package failures. Inside the package, defects in manufacturing can lead to shorts, the presence of chemicals that cause rapid aging of the semiconductor or package, or cracks in seals that propagate as the part is put through thermal cycles. Solder joints provide the main means of contact between a component and a circuit and have their fair share of failures. Using the wrong type of solder with a component or PCB can lead to electromigration of the elements in the solder that form brittle layers called intermetallic layers. These layers lead to broken solder joints and often elude early detection. Thermal cycles are also a prime cause of solder joint failure, especially if the thermal expansion rates of the materials (component pin, solder, PCB trace coating, and PCB trace) are different. 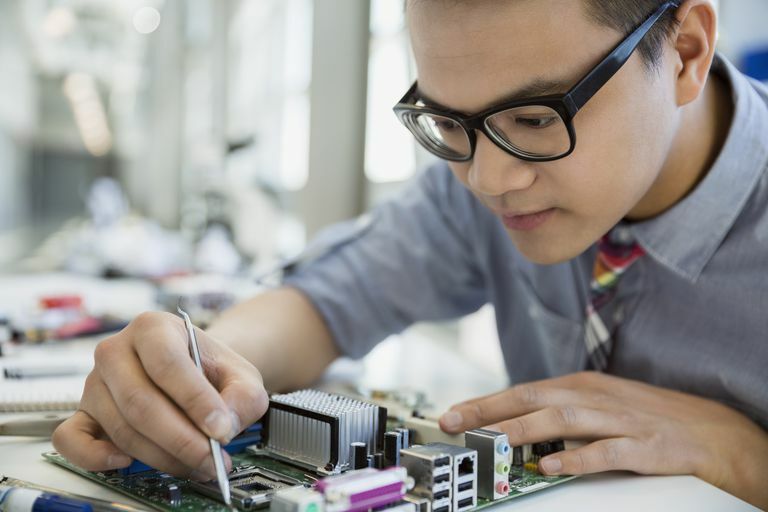 As all of these materials heat up and cool down, massive mechanical stress can form between them which can break the physical solder connection, damage the component, or delaminate the PCB trace. Tin whiskers on lead-free solders can also be a problem. Tin whiskers grow out of lead-free solder joints that can bridge contacts or break off and cause shorts. PCB boards have several common sources of failure, some stemming from the manufacturing process and some from the operating environment. During manufacturing, the layers in a PCB board may be misaligned leading to short circuits, open circuits, and crossed signal lines. Also, the chemicals used in PCB board etching may not be fully removed and create shorts as traces are eaten away. Using the wrong copper weight or plating issues can lead to increased thermal stresses which will shorten the life of the PCB. With all of the failure modes in the manufacturing of a PCB, most failures do not occur during the manufacture of a PCB. The soldering and operational environment of a PCB often lead to a variety of PCB failures over time. The solder flux used in attaching all of the components to a PCB may remain on the surface of a PCB which will eat away and corrode any metal it comes in contact with. Solder flux is not the only corrosive material that often finds its way on to PCBs as some components may leak fluids that can become corrosive over time and several cleaning agents can have the same effect or leave a conductive residue which causes shorts on the board. Thermal cycling is another cause of PCB failures which can lead to delamination of the PCB and play a role in letting metal fibers grow in between the layers of a PCB.